This is clearly no ordinary Toyota SUV. Jay Leno has all kinds of vehicles over to his famous garage. We tend to notice more when he features exotic supercars and classics sports cars, but this time it's another kind of vehicle altogether that's caught our attention (and his). This is a 1989 Toyota Land Cruiser – specifically an FJ62, for those who know their Japanese off-roaders. 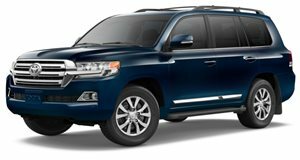 But as you can see, this is no ordinary Land Cruiser. This is a fire truck, made specifically for first-responders in Japan, and one of only a handful ever to have been exported. The truck belongs to one Brian Corsetti, who's something of a specialist in Land Cruisers and previously brought some others by Leno's garage. Corsetti bought it in Japan, had it shipped to Long Beach, imported through Texas (where the regulations are apparently a bit more lax), then sent back to LA where he lives. Because it's still carbureted, it doesn't pass California's strict emissions regulations, so he has to get a special day-pass any time he wants to take it out. And glad we are that he got one to bring it over to Jay's hangar out in Burbank. Though smaller than the type of rigs we're used to seeing in American fire stations, this is apparently just the type they've used for decades in Japan, where just about everything is smaller – including the roads and the land masses they criss-cross. That could be why it's only put on about 11,000 miles in its decades of service, from when it was built in 1989 until it was decommissioned just a few years ago in 2015, and why it still runs like a (very childish) dream 30 years after leaving the factory.